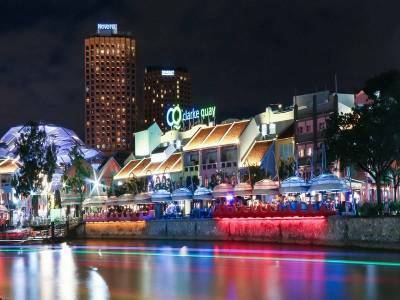 The Clarke Quay is built on the Singapore River Planning, located in the vicinity of the renowned Boat Quay and is a place of both historical importance and recreational activities for residents and visitors alike for shrugging of the stress and relaxes a bit. 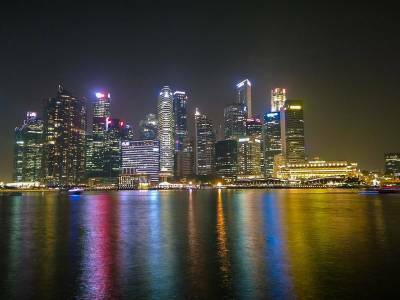 The canalized part of the wharf where the ships and bots are anchored commonly known as the quay was the one of the two major quays on the river built during the British Colonial rule over Singapore during 19th century CE. The quay is named after the 2nd Governor of Singapore, Sir Andrew Clarke. The road by the side of the canal and along the quay is called the Clarke Street which is now turned into a pedestrian market, a jostling joint for tourists in Singapore. The Clarke Street is called Gi Hok Kong Si Au by local people and is very famous. The main trade route of Singapore was and still the Singapore River. During colonial settlement, the barges would get loaded at the estuarial Boat Quay while the goods were stored in the five large warehouses of the Clarke Quay. But due to pollution of the river the quay fell into ruins and was locked out. Nowadays, in the modern times, these warehouse of Clarke Quay houses one of the largest and longest chains of restaurants and nightclubs in Singapore. 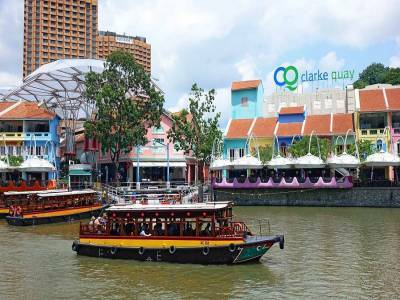 The five block floating warehouses in Clarke Quay are the liveliest place for tourists. Out of these places, Cannery and Hooters are most famous zones. 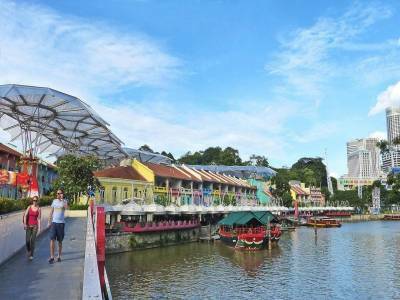 Apart from partying, historical escapades and fooding travels could also river taxi cruise at Clarke Quay. 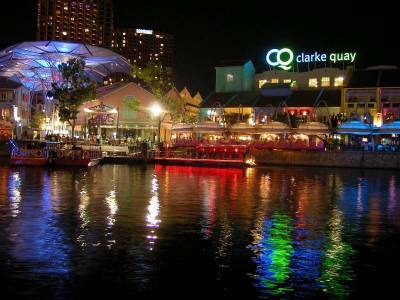 Get quick answers from travelers who visit to Clarke Quay.